While the Cadillac crest has undergone several changes over the generations, what it stands for hasn't: creating a higher standard. Cadillac is a premium brand and its vehicles demand your gaze when traveling the roads of Sacramento. Your premium vehicle demands something else: a higher standard of vehicle service. That's where Precision Automotive Service comes in. 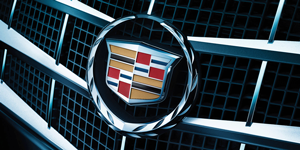 The exceptional quality of your Cadillac is complemented by the superior skill of or ASE-Certified technicians. They will expertly diagnose and repair the most difficult of electrical issues to the most intricate of engine repairs with accuracy and care. Precision Automotive Service always provides GM Original Equipment or factory-approved aftermarket parts and fluids for your Cadillac repairs and maintenance. How do you keep your Cadillac performing in peak condition? Regular scheduled maintenance at Precision Automotive Service is key.